Post total time minus 5 minutes of rest to responses. Wasn’t pretty I need a lot of training and cardio. Really tried to work on my form so I did #115 for each set. Thanks Breck for the coaching! 3 Studs in this pic I love coaching and working out with. Had some real high hopes for today’s training and POW!! BAM!! SMACK!! CrossFit has a way of humbling you. -Push Press = 6@135 – 5@165 – 4@185 – Only 2 at 195lbs and failed 205 3 times. No hip or leg drive yet. I get the bar just above the head and all press. I think it is getting better. Hip and leg drive is key! -Man that second portion totally exposed my lack of engine and I knew the doubles would hurt and planned on 3 sets of 40, no joke, I did 6 sets of 20 and it still hurt. Then what really killed me was on the second set of 12 Push press, BAM- got no-repped as I jerked #7. Oh my the sail lost all its wind then, it was just hold on and finish to get my 3 minutes rest. That will teach me to push press. Truly feel I am getting better everyday though. Oh my how grateful I am tomorrow is a rest and recovery day for me. Here is the training and instructions. Each item is performed straight through. The remaining time leftover after completion is your rest and transition time. Runs are Sprints differ in intensity. Try your best not to treat them with equal effort. Sprints should be hard and fast, while the Runs can be sub-maximal. The weight for the kettlebell should be one that is heavy but achievable for an unbroken set. The goblet squat wall hold is ideally performed with the same kettlebell you chose for your Russian swings, however if this is too heavy, you may have an additional weight set aside for this movement. 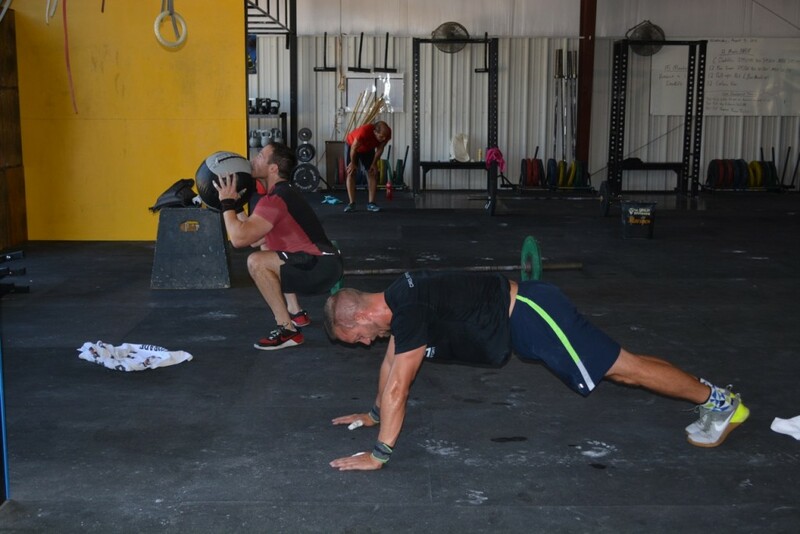 Go just below parallel with your back against the wall and hold the kettlebell in the goblet position for 30s. If this has to be broken up, just note how much time was spent in the active position until you accumulate all 30s. Wod. 135#, first Round MU’s, second Round Bar MU, ripped on second set of 6, last round did 6 strict PU. Wod with 95, pull ups, paralette bar dips.